230mil Heat Insulation Blocker Sound & Thermal Noise Deadener Dampening 72''x39"
Universal battery tray hold down clamp kit. 1 x Hold Down Clamp. Adjustable clamp. Clamp Width Adjustable Range: 135-200mm/5.31-7.87". 1 x Battery Tray. Tray Size: Approx. 35.5x20cm/13.98x7.87". Condition new Brand Unbranded/Generic Warranty Yes Type Moulding Trim Strip Door Edge Guard Other Part Numbe Molding strips trim for Car Auto doors edge Guard Otherr Universal For Auto/Car/Vehicle/Automotive/SUV Color See as picture Manufacturer Part Number Does not apply. Manufacturer Part Number: GM1230252C. If your hood panel is a painted part, you will need to have this painted locally. This is not a painted part. Hood Panel. Part Category: Hood Panel. Emblems/logos are not included (even if pictured) due to licensing. 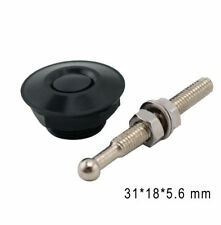 Manufacturer Part Number: GM1230252V. If your hood panel is a painted part, you will need to have this painted locally. This is not a painted part. Hood Panel. Part Category: Hood Panel. Emblems/logos are not included (even if pictured) due to licensing. 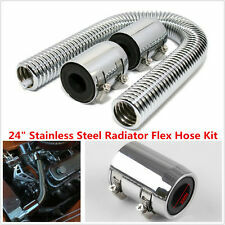 Heat Insulation Shield Car Exhaust Turbo Thermal Reducer Self-Adhisive MatFeatures:1) This product is 100% brand new.2) Great For Firewalls, Floors, Doors, Boots, Side Panels. Roofs and more......3) Keeps Heat In-Cold Out in the Winter, Keeps Cold in-Heat Out in the Summer!4) Easily installs,fit all kinds of vehicle typeMaterial:Alumina fiber Muffler cottonApplication:Firewall/rear decks - To reduce engine, road, and transmission noise while dissipating heatInstallation:1.Clean the dust and oil which cover the automobile engine2.Trim engine cover size well before the coherence3.Remove the isolation paper and stick the heatinssulation pad in the angine covers4.Finally press it evently,especially pay attantion to nearby theaaquare and the traiangconcave-conve. 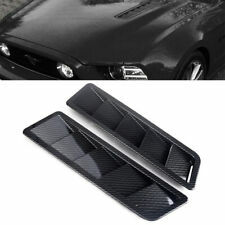 Universal Hood Vent Louver Air Cooling Panel Trim Set Black ABS. Universal Hood Louvers Panels can give you a customized appearance on the outside. Help remove unwanted heat from under your hood. These side window louvers are attached to the side quarter window glass. Certification: CAPA Certified. Material: Aluminum. Stamp-die cut and went through 500 to 1000 hours salt spray test to ensure corrosion resistance. Backed by 1-year, unlimited-mileage warranty. 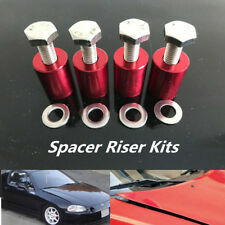 FIND THE RIGHT PART FOR YOUR CAR. (Color: Carbon Fiber. 2 x Cooling Panel. 2) Universal Hood Louvers Panels can give you a customized appearance on the outside. 3) Help remove unwanted heat from under your hood. 4) Locate the heat-venting louvers in the most crucial areas of your hood to allow the largest amount of heat to be removed from your engine bay. Trending at $20.37eBay determines this price through a machine learned model of the product's sale prices within the last 90 days. 1PC Car SUV Hood Air Flow Intake Vent Front Grille Decorative Cover 3D White. Self-adhesive and decorative car hood vent. Easy installation by sticking it on your car hood. 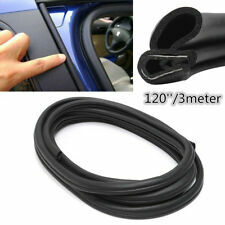 1 pc White Car Air Flow Sticker. Material: Aluminum. Stamp-die cut and went through 500 to 1000 hours salt spray test to ensure corrosion resistance. Backed by 1-year, unlimited-mileage warranty. Overdrive has been in the automotive parts industry for over 15 years. Features: Flexible, crush resistant, non-toxic & fragrance free (Will not smell), creates a mold and mildew resistant vapor barrier. Reduces unwanted sound and most vibrations. Keeps your interior cooler in the summer and warmer in the winter. Can make the heat of the engine evenly distributed to avoid overheating the lid. Effectively blocks 97% of radiant heat transfer.